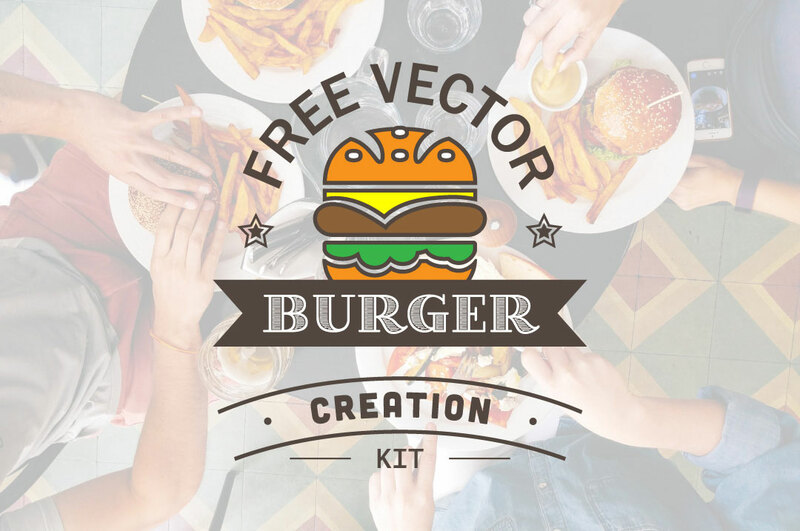 I’ve got an amazing freebie in stock, a Free Vector Burger Creation Kit I’ve designed myself for you to use in any personal or commercial project you wish. It’s been a while since I’ve had the idea to design a Burger Graphic Kit and distribute it as a freebie for my blog. It took a while to actually find the time to create these tasty little buns and patties, but I’d say it was worth it! I really had a blast making these and I think I might even continue on expanding this kit depending on the response I get. 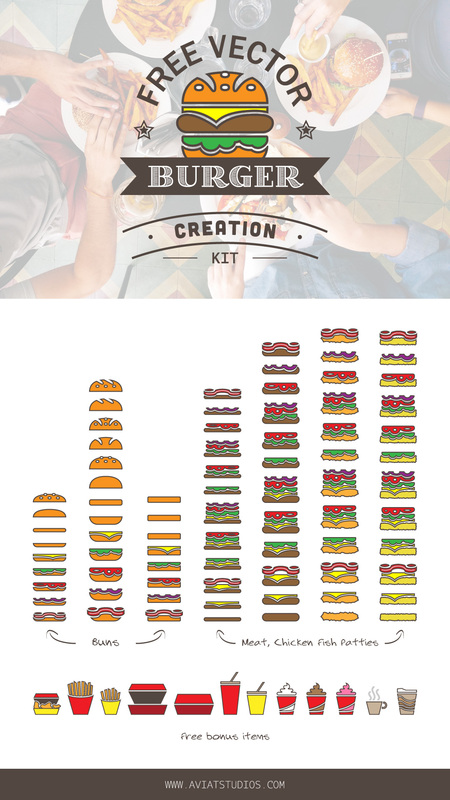 With this kit you are able to create a vector burger icon from a very large array of possibilities. I have not catered to all the possible iterations yet, but as I have said previously, depending on the response I get I might keep on expanding this kit. There are three different types of buns, including bottom, middle and top bun with their variations in condiments and cheese. The condiments include, salad, tomatoes, red onions, bacon and cheese. There are 50g meat patties and 150g meat patties with all their condiments and cheese variations. You’ll also be able to make some chicken and fish burgers as I’ve included those variations as well. As a little bonus and since I was having so much fun creating these little graphics, I included some extra items related to the fast food industry that you’ll be able to find at the bottom of the Illustrator file. All of these items are grouped up individually, meaning all you have to do is stack them up like you would any real life burger inside of illustrator. A little tip is to have smart guides activated so that you can stack them and keep them vertically aligned with ease. Don’t forget to share the love by clicking on your favorite social media icon at the bottom of this post!